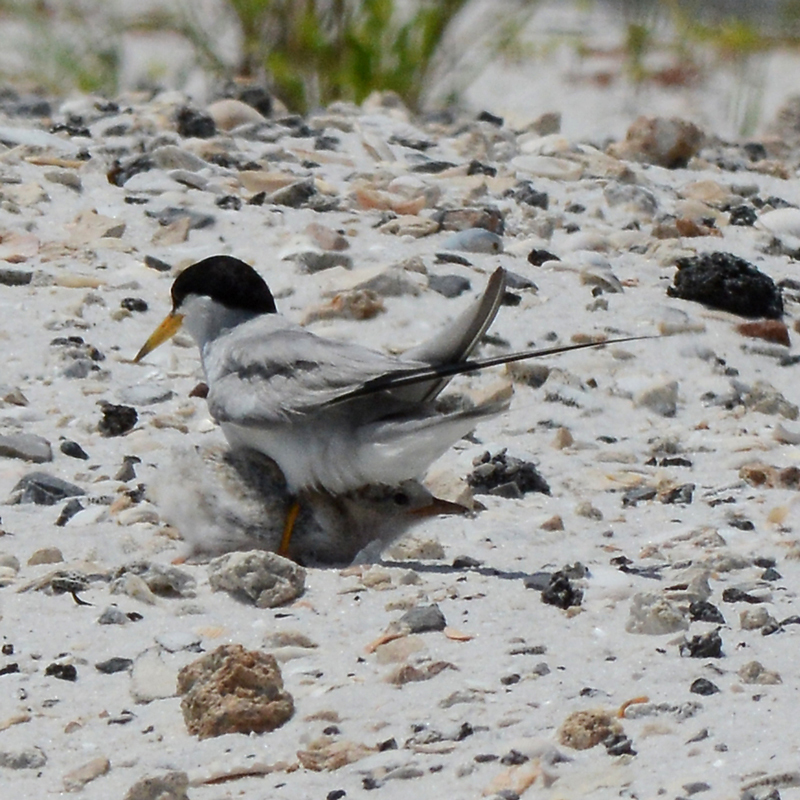 This Least Tern chick just left his/her mom and sibling and headed across the hot sand. 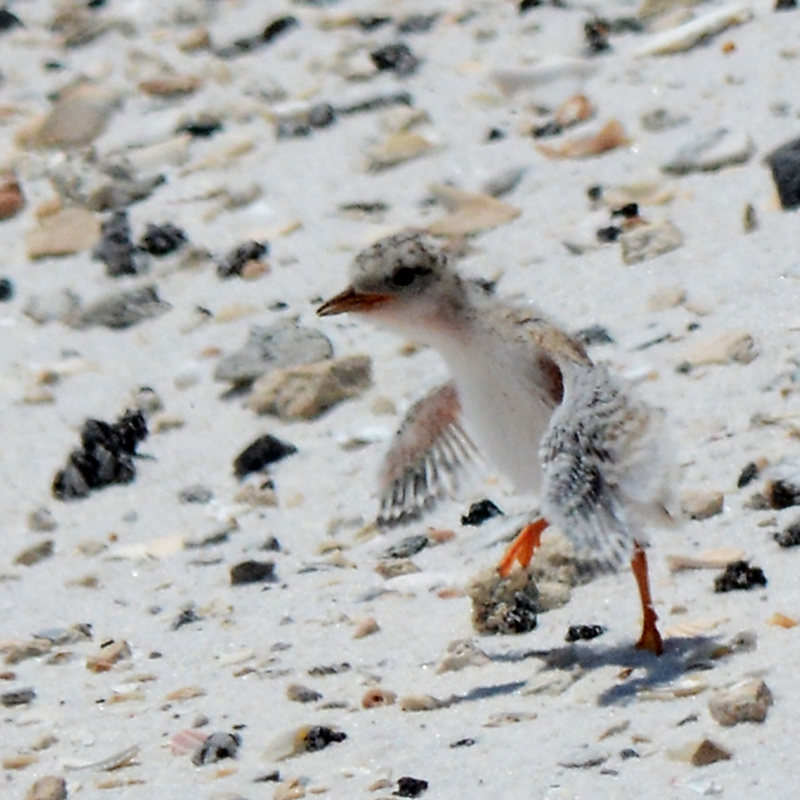 Those wings don’t look quite ready for flying, but he sure was giving them a workout – maybe in an effort to lift his tootsies off the blazing hot sand. 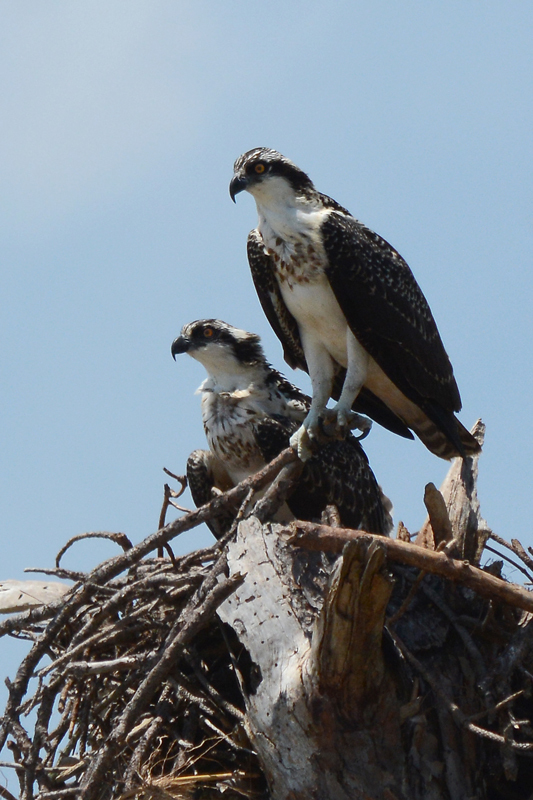 July 22, 2015 Fledglings about ready to leave the nest. Both female as far as I can tell from their speckled chests. These are the two I’ve followed all spring and summer since their parents settled into this nest back in April. When I took this picture mom and dad were nearby, watching from their favorite pine tree. When the temperature reached over 100 on the sand a kid will find shade wherever possible. In this case, it’s under mom. Posted on July 23, 2015 July 24, 2015 Categories UncategorizedLeave a comment on Shade! So. Who’s the fish for? Me or the kid? 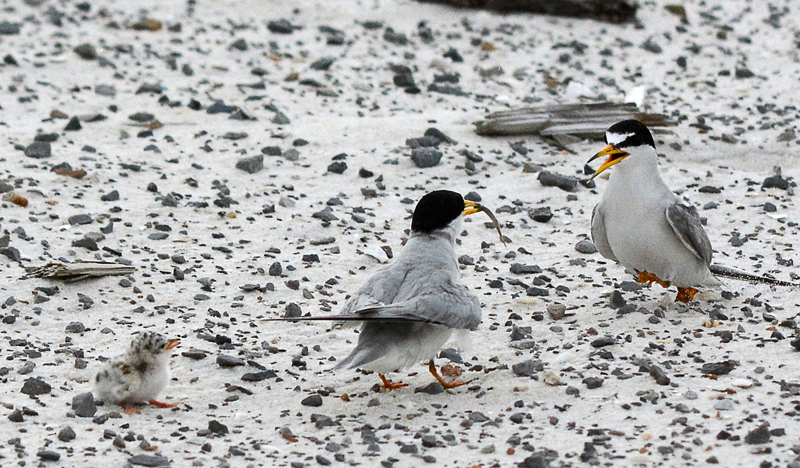 There was quite a battle going on around two tiny Least Tern chicks at Opal Beach yesterday. At least six adults were zooming around, attacking each other and making quite a ruckus. But in the midst of it all, all this mama wanted to do was feed her baby (at the left, barely visible). Posted on July 14, 2015 Categories UncategorizedLeave a comment on So. Who’s the fish for? Me or the kid? She stared me down … but I got this photo! 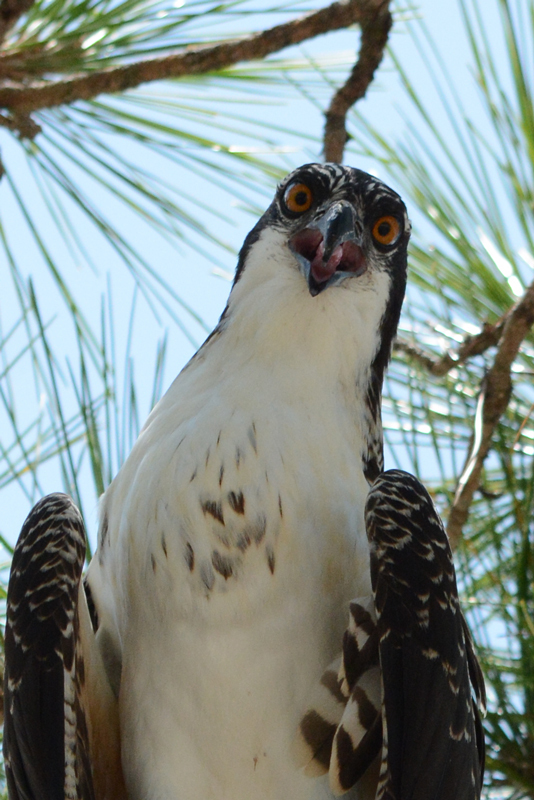 This beautiful young Osprey (female, I think, from the speckles on her chest) stared me down as I walked closer and closer, until I was finally looking almost straight up at her. We were no more than ten feet away from each other, and she never flinched. Posted on July 13, 2015 Categories UncategorizedLeave a comment on She stared me down … but I got this photo! 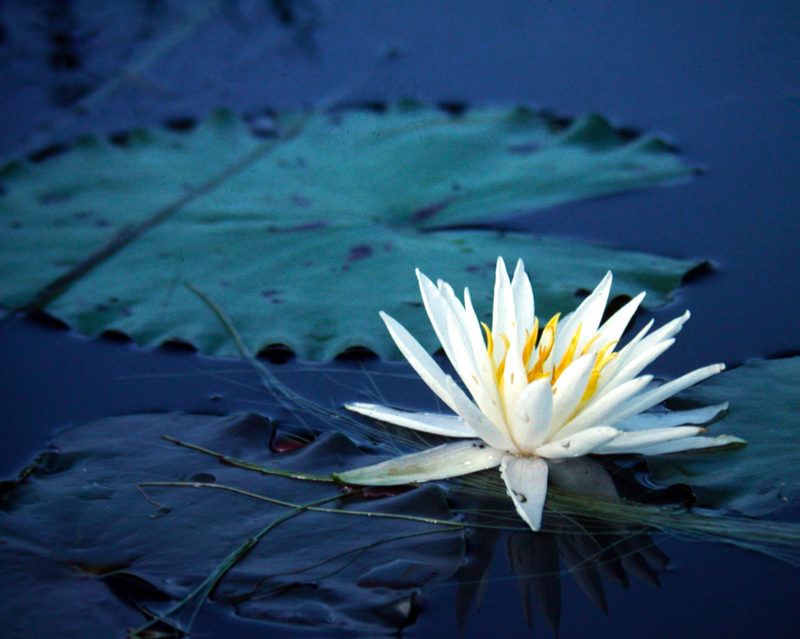 I took this photo some time in the early 1980s on a pond in Alabama. Out in a canoe as a dark, dark storm approached, I grabbed this last shot just as the huge raindrops began to pound the pond. The camera? The 35mm Pentax I brought home from Viet Nam in 1968. The film? Kodachrome, of course. Marty Campbell Gallery … Pensacola’s finest gallery. Come see us of Friday July 17 – Gallery night. I just captured this panoramic image yesterday. Funny thing is – at first I was shooting with a full-frame Nikon D800 and a fast 24-70 lens. But I got a better image with my iPhone 6+. Shot it in Pano mode, then took it into Photoshop and adjusted the distortion using the “warp” tool.